I’m happy to be reviewing this book right now. There’s been a lot of talk over on face book about how expensive it is to be vegan. I guess in some ways its true all the vegan processed food add up. A box of Mac N cheese is 5.00 which feeds 1-2 people. So for a family of 4-5 you’ll need at least 2 boxes. That’s 10 or more. A pizza costs about 10 dollars again it’s going to cost you about 30 dollars to feed your family that doesn’t include bread sticks or salad. So yes eating like that is expensive. Katie and Kate will show you how you can make tasteful and healthful meals that won’t break the bank. You’ll even have money leftover that if you want to splurge on processed foods you can. I don’t think you’ll be doing that too often though. Now I’m going to tell you all about Frugal Vegan. I promise Katie and Kate will have you eating well balanced meals that the old stigma will be vanished from your memory- it was all just a horrible nightmare. Plus it’ll make you wish you had this book sooner. It starts with The Whole Enchilada. I’ve already made the Easy Vegan Enchiladas. Next I’m wanting to make BLT with sriracha mayo and Roasted Potato and Zucchini Pizza, BBQ Chickpea Sliders. Then on to Carb Party. The spicy broccoli and White Bean Pasta was great. Next I want to try Kale Stuffed Shells with Marinara (I might sub the kale with spinach though), Lemon and Pea Risotto. Bring On The Bowls. You have to try the Backyard BBQ Bowl, The Crispy Buffalo Tofu Bowl is up next. Actually I love bowls so I’ll be making every recipe in this chapter. Best Dressed Salads. I’m wanting to try the Vegan Taco Salad because tacos, Rustic Market Salad, and Curried Potato Salad. Slurp Worthy Soups. With Fall not far off- this will be my go to section. Chickpea Curry has great flavor. Up next is Minestrone Soup, Lentil Soup with Greens, Roasted Carrot Curried Soup. Mornings. Breakfast is my favorite food group! Yes it is a food group 😉 Apple cinnamon is tasty and fills you up. Crispy Vegan Bacon, Tofu Scramble Eggs, Pineapple Scones??? Yes please! Bite Size. I’ve been eying the Baked Oven Fries with Rosemary and Sea Salt since I received Frugal Vegan. Other worthy bite-size mentions are: Salted Peanut Butter Popcorn, Spicy Chipotle Corn and Zucchini, Pineapple Slaw. Get Sauced. Mushroom Gravy, Curry Dressing, Sriracha Mayo, Miso Garlic Dressing. Your pasta and salads have never tasted this good! Glazed and Infused. I don’t know about you but I always start to glance through a cookbook from the end to beginning. If the treats don’t look good or sound enticing then I lose interest. How does Watermelon Lime Granitas, Mini Key Lime Pies, Warm Apple Crisp, Chocolate Coconut Cream Puffs sound? EXACTLY!!! 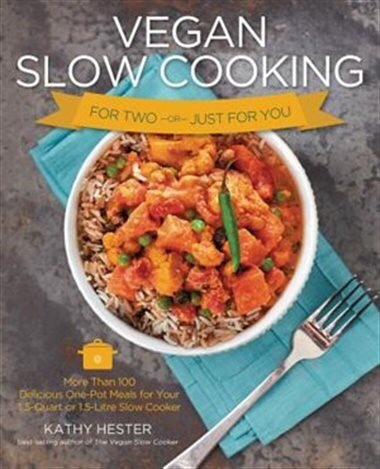 Smart shopping, batch cooking and freezing with 18 recipe titles that freezes well, there’s a few charts of what you could eat and when to swap it. Such as instead of chia seeds use flax seeds in baking. They cover grains, legumes, seeds and nuts, oils and vinegar’s, fruits and veggies and miscellaneous. There’s also some tips to maximize your produce so it doesn’t go to waste. the pieces are soft and sticky. Set aside. are okay (don’t overmix or the pancakes will be tough). golden brown, about 3 minutes. 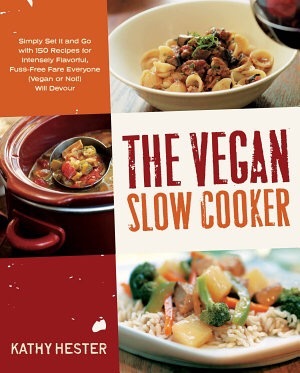 Katie and Kate YOU have just created the most delicious Frugal Vegan book off all time! I was given a copy of this book for review by Page Street Publishing and they are going to give one lucky winner a copy as well. Must be 18 or older and have a United States mailing address enter HERE for you chance. Good luck 🙂 To purchase a copy click here. CONTEST CLOSED!! Let us know what your go to Frugal Vegan Meal is!